A good citizenship - no name calling assembly program that teaches students of all ages how to be polite, thoughtful and caring to one another. 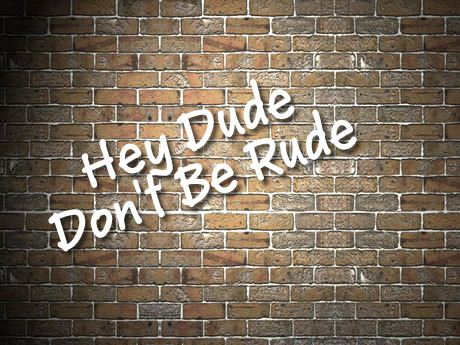 At the end of the Hey Dude Don't Be Rude, elementary school assembly program students will learn how to be polite to one another and why name calling and teasing is improper behavior. They will come to understand the meaning of kindness and why it is important to help others. Richard designed this self-improving, good citizenship, elementary school assembly to work within the guidelines of many school's positive behavior support and character building programs. It is not the usual "one size fits all" style of school assembly program. It is engineered to be changed and tweaked to fit within each school's positive behavior mission and objectives. 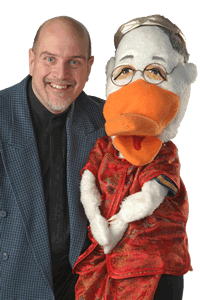 It is a fun interactive program that mixes games, audience interaction, ventriloquism and stories to illustrate the differences between positive and negative behavior. Students quickly learn why it's important to be polite by saying "please, thank you, excuse me, sorry" and why they should always offer to help to someone who may need help. The reason for this program is to reinforce the golden rule which is to "do unto others as you would like done to you." They learn that pushing, shoving, taking cuts, talking behind someone's back and teasing is rude behavior. 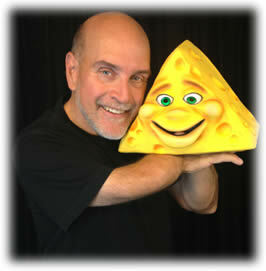 Through a series of hilarious examples they come to understand the value of positive, polite behavior skills. For example during one of the fun activities students are instructed to share what a person with a poor attitude can do. How someone can change from being rude to someone that is polite, respectful, and compassionate toward others. It is presented in a way to remind the students of the school's positive behavior theme and policies. Throughout the school assembly program Richard will explain what it means to do the right thing and make right choices. They will also learn how a positive attitude promotes friendship and it helps give one a sense of personal pride.